In the UK, Labour's nuclear disarmament policies of the 1980s were not to blame for electoral failure, argues Rebecca Johnson. A sensible, fact-based debate about Trident replacement requires Ed Miliband to overcome the Party’s ‘electoral defeat traumatic syndrome’. Cabinet papers and secret government letters from 1983 that have been made public under the 30 year rule (See excerpts attached below) show that Margaret Thatcher’s government was more seriously worried about the electoral impact of nuclear weapons deployments than had previously been revealed. Their concerns included the popular opposition to Trident replacement and to the US siting of cruise missiles at Greenham Common. Though Labour was tearing itself apart over the break-away faction that formed a new Social Democratic Party (SDP), some 700,000 more people voted for the disarmament-oriented Labour Party of 1983 than in the 1979 election when the Party was led by Prime Minister James Callaghan, who took the first steps towards replacing Polaris with Trident and the deployment of cruise missiles in 1979. Callaghan lost that election, and Margaret Thatcher became Prime Minister. Labour’s defeat in 1983 had far more to do with the SDP factor in a two-party system, economic reconstruction, and innovative use of media and advertising techniques by the Tories. Contrary to the received myths, the Labour Party’s advocacy of nuclear disarmament was largely popular, as the Cabinet papers attest. Concerned to minimise the damage that cruise missile deployment could inflict on her electoral chances, Thatcher’s strategy was to pull the election date forward by several months (to June, rather than the previously envisaged October) and persuade the Americans to delay their planned deployment of the first Cruise Missiles so as to reduce the visible reminders of the new weapons. Michael Heseltine’s Ministry of Defence set up the DS 19 Propaganda Unit, charged with discrediting CND and the Greenham Common women. Clever advertising ridiculed the Labour Party, exploited their internal divisions and depicted them as soft on defence, while projecting Thatcher as a strong leader. Before the other political parties adopted sophisticated marketing and media strategies, the Conservatives had learnt the value of controlling the narrative. Thatcher showed off in tanks or standing shoulder to shoulder with US President Ronald Reagan, talking tough after winning the Falklands War. She largely avoided the burnt and badly wounded victims, and left little room for anyone to question the mistakes that had led to the showdown with Argentina over these South Atlantic islands. The Americans kept a low profile for the first half of 1983, but made up for it once Thatcher had been re-elected. When the weapons were flown into Greenham in November 1983, protesters pulled down over half of the 9 mile perimeter fence of the US Airforce Base. Though she had to endure the humiliation of not being told until the last minute of US plans to invade Grenada, this happened after the 1983 election and did not dent the Conservative electoral strategy. Labour and CND were tarred as Communist sympathisers or stooges. Greenham women were projected as naïve (coupled in some narratives with the condescending qualification “well-meaning mothers and grandmothers”, and in others with “squalid” and “dangerous feminists”). The Conservative line was “If you knew what we know, you wouldn’t question the need for Trident and Cruise”. History has confirmed that the peace movement understood much more than we were given credit for. Perhaps that is why Thatcher’s government refused to engage in an intelligent debate over nuclear policy, finding it easier to belittle their opposition while asserting their status quo decisions and preferences as if they were factual, evidence-based necessities. As nuclear weapons are increasingly marginalised in the 21st century and Britain faces another hundred-billion-pound question on whether to replace the Trident system we didn’t need for the past 30 years and can’t find any good reason for getting now, it’s time for the Labour Party to stop running scared about reframing security and nuclear policy. The intellectual and security arguments against Trident replacement are overwhelming. It’s time to change the discourse on nuclear weapons in Britain. 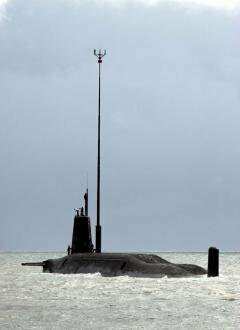 If this country is to avoid committing the stupid, expensive mistake of signing away billions of pounds more to build some lumbering submarines to chain us to nuclear dependency for the next fifty years, we need our politics to catch up with the facts and arguments. Since so many in the Labour Party still seem paralysed by the mistaken belief that advocating nuclear disarmament kept them out of power for the 1980s, let's take a look at that time again, assisted by hindsight and the 1983 documents. Labour’s challenges to Cold War nuclear escalation by the United States and the replacement of Polaris with a larger, US-dependent Trident missile system were sufficiently popular to cause the Conservatives doubts and anxiety, especially concerning US controls over nuclear decisions. The Tory spin doctors made a lot of hay over the term “unilateral” in the policy adopted by Labour in the early 1980s. This policy was adopted at a time when “multilateral disarmament” was primarily used by those who did not want disarmament at all. So advocating multilateral disarmament was an excuse for doing nothing, confident that no steps would get the support of all the other nuclear-weapon states (and if it did, then participation by India and Israel could be made into an insurmountable precondition for disarmament negotiations). All that the Labour policymakers meant when they referred to “unilateral nuclear disarmament” was that someone – and the UK was well placed – needed to take the first step towards halting nuclear escalation. They argued that it was in the UK’s interests to take these first steps down the nuclear ladder without waiting for all the rest, and that if Britain could take the first practical steps it would help the US and Soviet Union to draw back from the brink and begin the necessary changes to stop their arms race spiralling into nuclear war. This was right and sensible, especially the predictions of the beneficial effects of taking the first steps down the nuclear ladder. As it turned out, the first courageous step was not taken by the UK or US governments, but by a new Soviet President, Mikhail Gorbachev. Recognising the need to pull back from the nuclear brink and emboldened – according to Gorbachev’s own recollections - by the actions and arguments of European disarmament activists and US and Russian scientists, he took the initiative to accept NATO’s “zero option” and invite President Reagan to negotiate on disarmament. Thatcher was extremely concerned about the Reykjavik talks and did not want the US Airforce to leave Greenham Common, as the 1986-88 Cabinet papers will no doubt reveal. All in all, her government could not have been more wrong in its assumptions about international relations, its nuclear and security projections, US intentions, costs and the utility of the Trident system we've been lumbered with since then. By contrast, the peace movement, which applied Gandhi’s dictum “Be the change you wish to see in the world” was far less surprised to see the changes that ended the Cold War. These were the transformations we had worked for, recognising that the first step can lead to many more. By 1986, just five years after the Women’s Peace Camp had been set up at Greenham Common, the US and Russian presidents, Ronald Reagan and Mikhail Gorbachev, met in Reykjavik to talk about pulling back from the nuclear brink. They started with Cruise, Pershing and SS20s, known in military parlance as INF, standing for intermediate-range nuclear forces. One year later, they had concluded the INF Treaty which banned these weapons. Though resisted by Mrs Thatcher, these nuclear disarmament negotiations ushered in profound – and positive – changes in East-West relations. By the time the first of the very expensive Vanguard submarines rolled out of Barrow in 1994, the Cold War had been consigned to the trashcan of history. Sadly its nuclear assumptions and doctrines live on in the minds of those responsible for the 2013 Trident Alternatives Review. Not only was the story of Labour’s 1983 defeat not the result of disarmament advocacy, but nuclear policy was practically invisible in the 1987, 1992 and subsequent elections, with little or no influence on those outcomes. More recently, it is relevant to note, there is strong evidence that nuclear concerns were decisive in the Scottish parliamentary elections of May 2007, a few months after the Blair government’s decision to replace Trident. Because of the decision, enough votes shifted away from Labour towards the avowedly anti-nuclear Scottish National Party that the SNP gained a one seat majority and used that to transform Scottish politics, gaining an overall majority in the Scottish elections of 2011. And of course, Labour lost the 2010 UK election after pushing Trident replacement through Parliament, assisted by the Tories and opposed by the Liberal Democrats. The false but internalised narrative equating disarmament with electoral defeat has been remarkably potent for 30 years, keeping Labour leaders fearful of addressing nuclear issues. The newly-released 1983 documents show that the Conservatives were more adept at deflecting attention from their anxieties than they were at understanding international developments and identifying the UK’s security needs. In terms of Britain’s security interests in ending the Cold War nuclear arms race and stimulating disarmament, Labour was right, but that’s not what you’d conclude from the party narratives that have been handed down since that time. Correct though its understanding of 1980s imperatives was, Labour was wrong-footed by the cleverness of Tory spin doctors and Saatchi marketing, which successfully portrayed Michael Foot as an intellectual, naïve bumbler and Labour’s advocacy of unilateral steps as “one-sided” disarmament, with the implication that everyone else will do the opposite, take advantage and undermine UK security. Now David Cameron’s Conservatives are trying to do the same thing, reviving “unilateral disarmament” as an insult to CND and others who oppose the Trident replacement programme that Blair initiated and Cameron is now pushing for. A few years after ridiculing unilateralism, the Conservatives under John Major were unilaterally cutting the UK’s large arsenal of tactical nuclear weapons. They didn’t wait for negotiations with everyone else. They took unilateral disarmament steps because even they could see it was sensible to stop spending good money on these pointless weapons. At the same time, John Major was vigorously opposing multilateral negotiations to ban nuclear testing. Is it too much to ask that today’s media would stop perpetuating the Tory narrative and its over-simplification of unilateral and multilateral disarmament? As noted in a 2000 programme of action for nuclear non-proliferation and disarmament, negotiated and adopted by Non-Proliferation Treaty (NPT) parties (including the UK), unilateral, bilateral and multilateral steps will all be necessary. Similarly, getting prohibition treaties in international law as well as decisive steps to reduce and eliminate existing arsenals are not mutually exclusive but jointly necessary measures to achieve the world free of nuclear weapons that so many leaders now say they want. Britain’s politicians seem to be sleepwalking into disaster. What will it take to overcome Labour’s “electoral defeat traumatic syndrome” so that we can have a sensible, fact-based discussion of the pros and cons of Trident replacement? This is the second in a series of three articles. Read the first.